Take the family to this Howard Johnson Inn Fort Erie for a fun-filled getaway. Walk to The Peace Bridge connecting Canada and the United States over Lake Erie. Place bets and see the horse races at OLG Slots at Fort Erie Race Track, stroll the scenic Friendship Trail, then tour the buildings and grounds of Old Fort Erie. The breathtaking Niagara Falls are just 15 minutes away. Enjoy a convenient meal at Tim Hortons or Wendys next door. Start your morning refreshed with a complimentary Rise and Dine continental breakfast and newspaper. Car and large-vehicle parking, and fax service are available for your convenience. Connect to the complimentary wireless Internet access from your comfortable guest room to plan an exciting day. 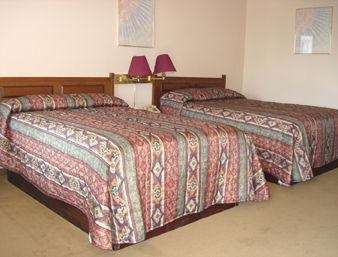 Hot tub suites and smoke-free rooms are also available. Pets are welcome at this lodging.